The most notorious Nazi war criminals were tried at the Nuremberg trials, while the small fry went free. So after WWII, former journalist Ian Graham formed the Vienna Refugee Documentation Center, a small operation dedicated to the prosecution of Nazi criminals. In order to capture THE HUNTRESS, first, he must find Nina Markova, the only survivor to escape the elusive murderess. Is it a coincidence that Boston teenager Jordan McBride has become suspicious of her new German stepmother? 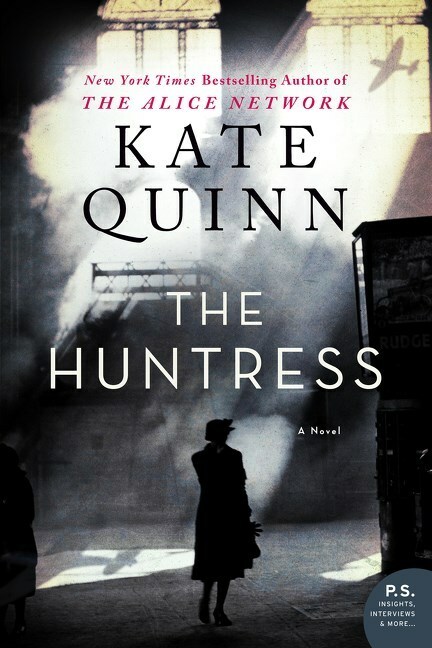 Based on the book description, I expected a taut thriller, but THE HUNTRESS is in fact Women's Fiction, more specifically Nina Markova's life. As a story on the Soviet women pilots - the Night Witches - thus Nina's, it is stellar. THE HUNTRESS takes place mostly in 1946 and 1950, going back in time when needed; this works very well, and the transitions are smooth. Kate Quinn's research into Soviet women pilots is impressive, but it feels like the author got carried away with her research, and Jordan's and Ian's storylines merely act as a background for Nina's story. The several characters are exceptionally well drawn, the writing is solid, and the dialogues really stand out, particularly Nina's. The pace is steady, but it took an excruciatingly long time to get anywhere. It seemed like the purpose of the book was to stretch Nina's story for as long as humanly possible and, in my opinion, it backfired as far as the suspense is concerned. A crucial plot point seemed highly implausible; some events, when exposed in the minutest details, lost their credibility and the fabric of the plot unraveled. One character made an unfortunate decision that caused the story to drag even more. Several romances, and various superfluous details padded the narrative. I also wondered if a character's bisexuality was to make the novel "trendier" and add to the page count; other than that, it brought little to the story. What I found most disconcerting is that THE HUNTRESS is partly based on some real people. Ultimately, as a thriller, THE HUNTRESS left me frustrated, exasperated, and wholly unsatisfied. Had I expected a Women's Fiction novel focusing on the life of a Soviet woman pilot, I might have enjoyed it more.